The Tower of the Helephant -aka TotH- has been around for years, however most people choose to dismiss it and keep questing to other worlds. 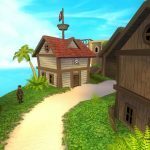 This could be a result of a set of different reasons, among them being the fact that Wysteria is a lower level side world, and that the drops are scarce or not worth the struggle. All valid reasons of course, but excuses aside the fact is that TotH remains a great classic challenge to overcome: especially if you are doing it at the appropriate level. 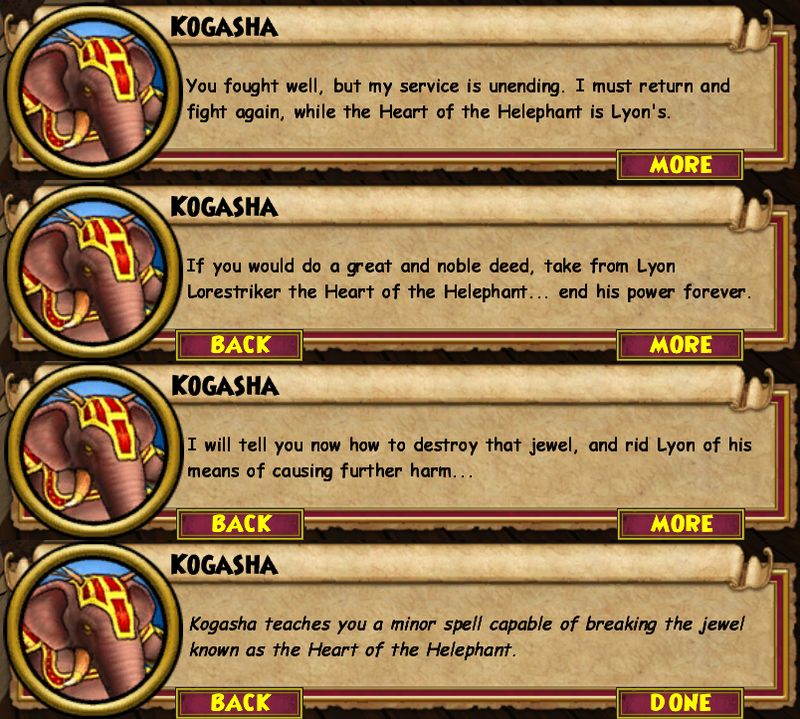 Back to the basics… the Tower of the Helephant can be found in Wysteria, a level 25 side world. However, the dungeon is aimed to provide a challenge to level 60, aka “Legendary” wizards. It can be found on the left side just upon entering Pegasus Place. First of all, make sure that you have completed Wysteria’s main quest line and right when you reach level 60 you will be notified to go talk to Belladonna Crisp (the cross lady on the Wysteria loading screen). Take the quest simply titled ‘Tower of the Helephant‘. Easy, no? Here is where it gets interesting! Be careful! Unlike other dungeons this one starts with a bang! The greeting party will consist of Ervin the Barbarian, Taurus the Clever, and 2 Tonkatsu Thug minions who are actually “bosses”. Here is everything you need to know. I’m not going to overwhelm you with knowledge or force a strategy on you, it should be fun after all. However, I recommend taking a team you are comfortable with, consisting of one hitter and the rest can back them up through what is to come. Go teamwork! Will cast a -90% universal shield first thing and will keep recasting it until Taurus dies. Can be removed by stealing it or using pierce / shatter. No traps allowed on him until Taurus is defeated. Can be countered with indemnity or spells like windstorm or mass prisms. Any fizzles throughout the battle will trigger an enchanted version of skeletal dragon which can hurt! At the beginning of every 3 rounds he will cast a -50% smoke screen. Removes first blade on the recipient of the blade. Can be countered with Aegis or spells like Bladestorm. 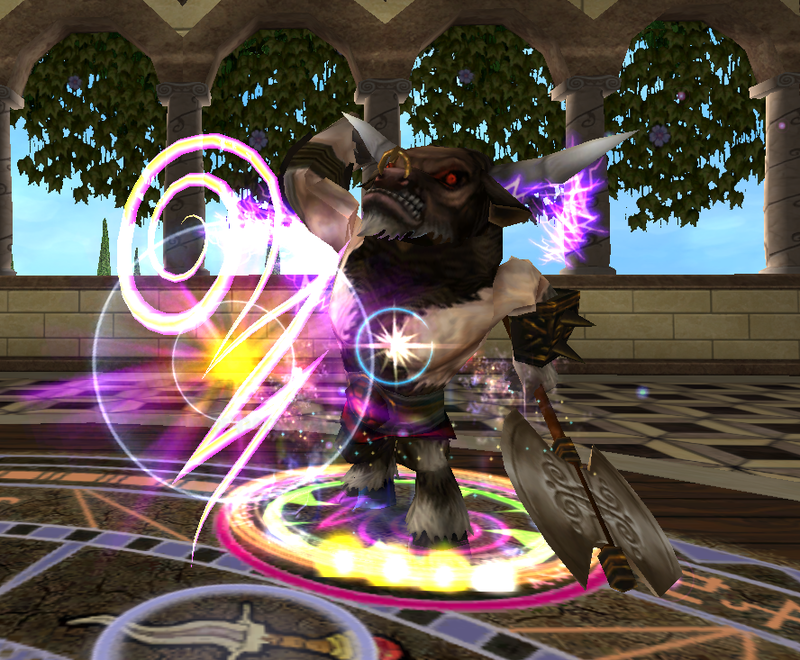 For every blade disarmed, Taurus casts a Death Blade on Ervin the Barbarian. An enchanted Leviathan will be cast every 2 rounds after Taurus is defeated. An elemental hitter would be better suited for this battle as both bosses are spirit schools and would eliminate the need for prisms. Always entertain the possibility of getting hit with an Earthquake or a Myth Imp (Death & Life Dispel). Let’s just face it, Taurus is too clever! One thing I implore you to do in this battle is to Quench (Fire Dispel) Taurus on round 2 and every other 3 rounds after to counter his smoke screen cheat. One last thing, have a wizard before the hitter use Pierce or Shatter on Ervin. Floor 4 – You’ve got to be kidding me! You can swiftly avoid these pesky creatures by simply doing what a common street rat would do. Follow your nose! To dumb it down a little, this is a puzzle full of teleporters where you’ll have to decide between two each time. Always take the one nearest to the cheese. If something goes wrong, you’ll face 4 angry Vulpine Vandals – 2120HP Death. You’ll finally get to face a boss! Unlike Taurus and Ervin up above, this boss can be easily squished. Additionally, there are no recorded cheats in this battle! Floor 6 – The Helephant… no, you’re not done yet! Another boss before the final showdown! This battle, like the previous one, has no recorded cheats and all you have to face is this Helephant and his eight-legged friends! Floor 7 – The ground floor! Summons 1 minion every round until the battle circle is full. When there are full minions he will start casting an overpowered blizzard every turn. Ouch! The trick here is to be swift and not look back! Stack your hitter with blades and have them attack as soon as wizardly possible. The rush is due to a couple factors you should be aware of. Firstly, the potential risk of getting hit by earthquake from the minions. 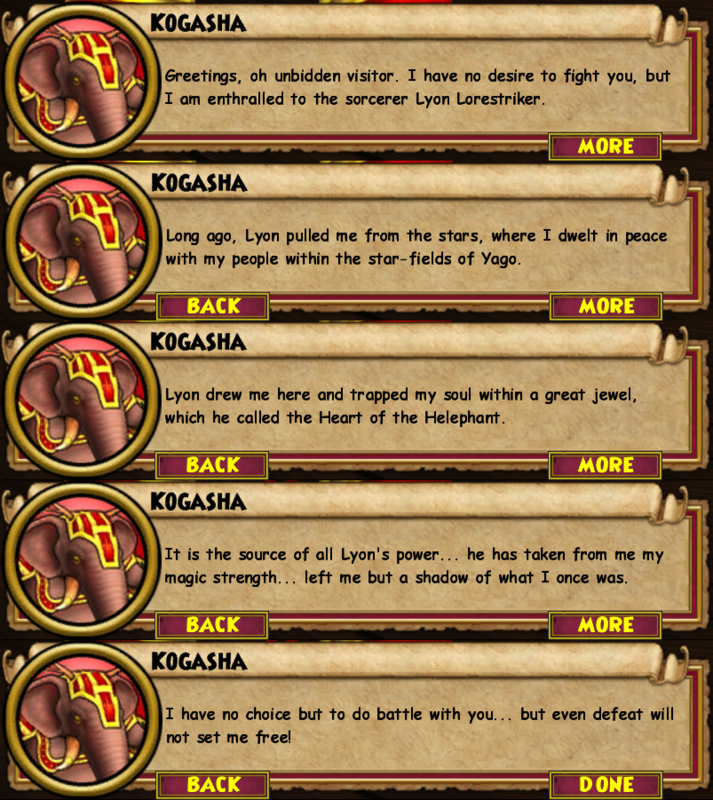 Then, there is the killer blizzard that will be spammed every round once our friend Lyon Lorestriker has invited enough copies of himself to the ‘party’. If you are planning to use Indemnity Feint or Mass Feint, save them till the very end. 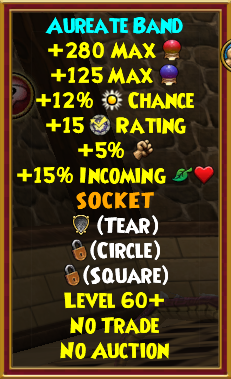 Additionally, one should note that the school mastery amulets that are available in the Crown Shop drop from both the first and last battle of this dungeon. To conclude this amazing challenge you will be awarded the badge ‘Liberator of the Helephant‘. will you let Lyon Lorestriker dominate over the Tower of the Helephant? Still haven’t done this quest at level 116. Probably will eventually, just don’t have any real reason to yet.